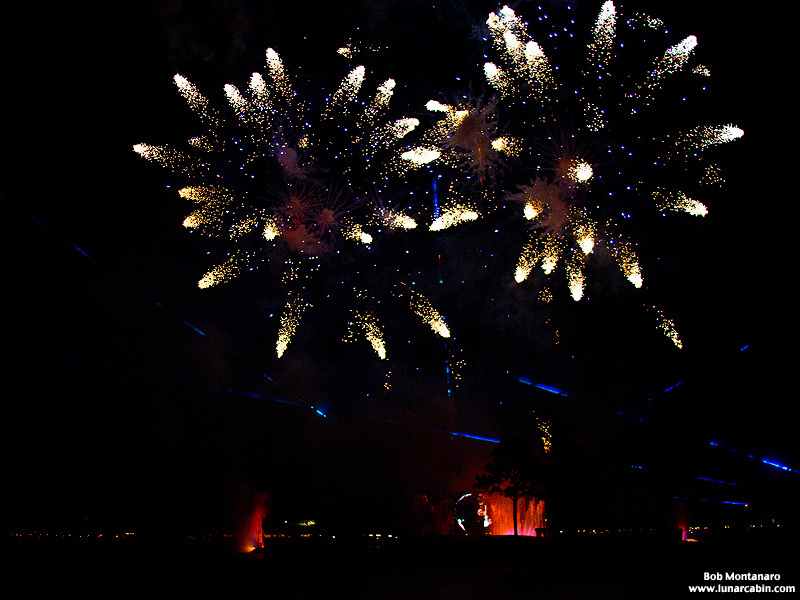 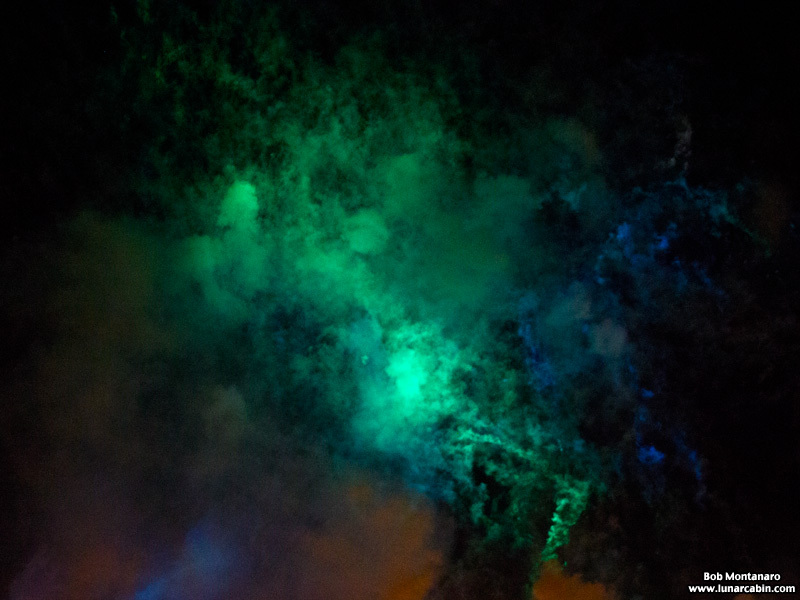 A sampling of images from Disney World’s EPCOT IllumiNations: Reflections of Earth show held at 10:00 p.m. the night we were there. 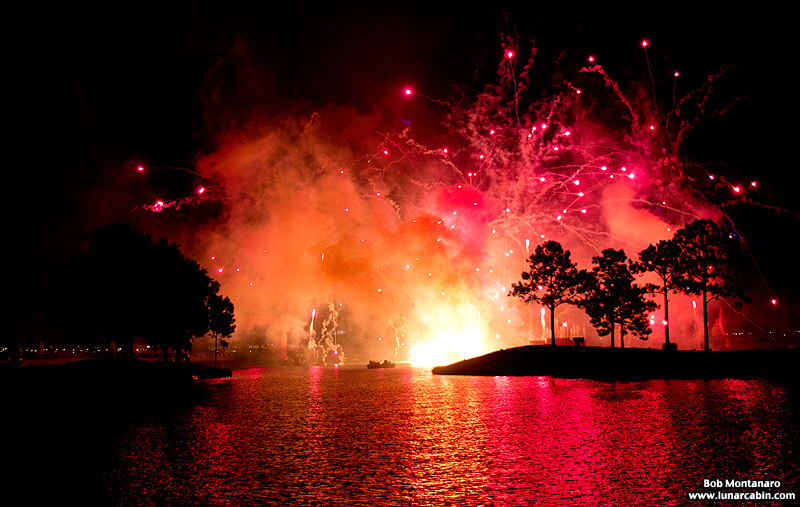 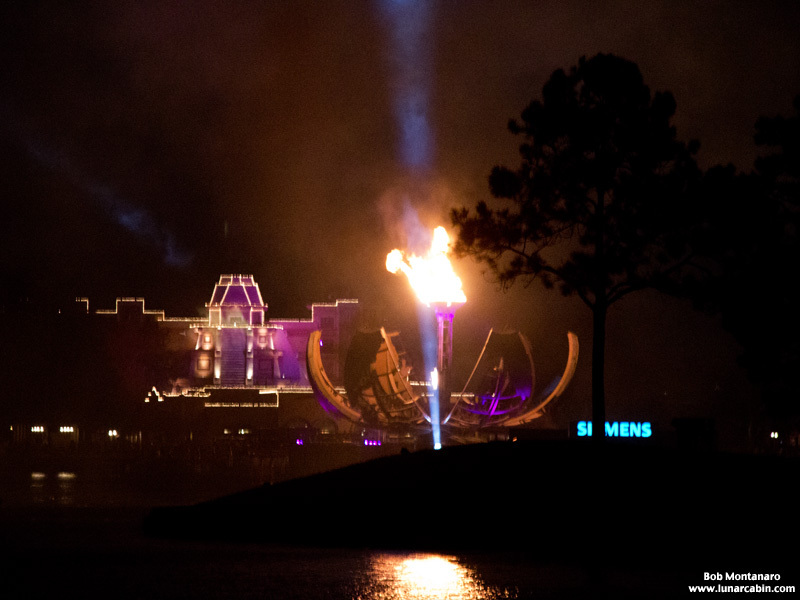 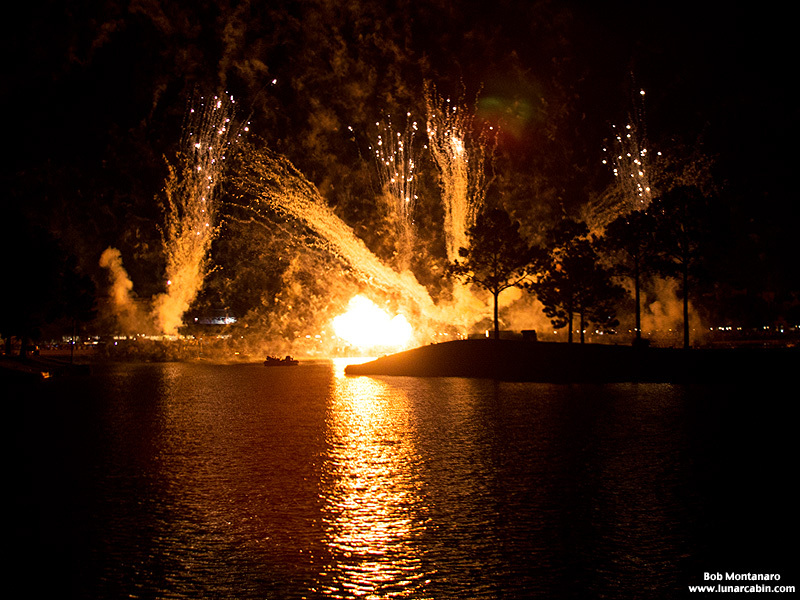 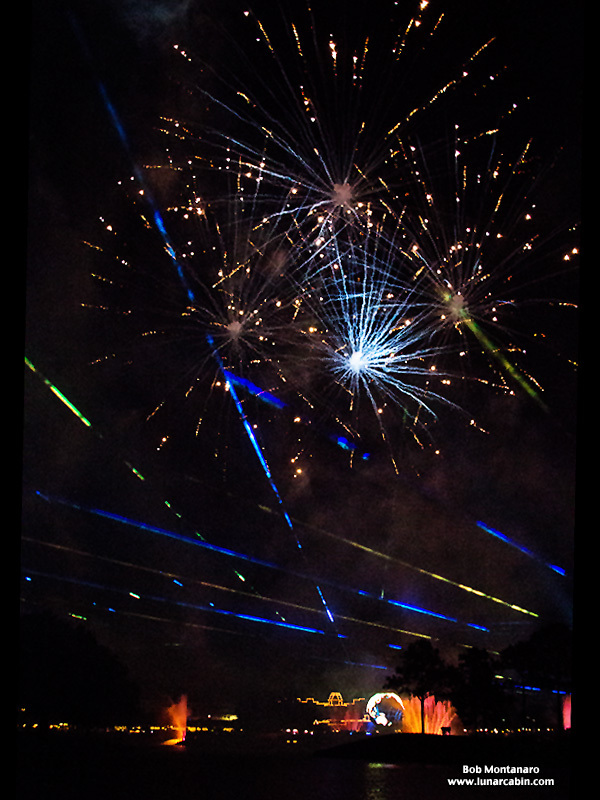 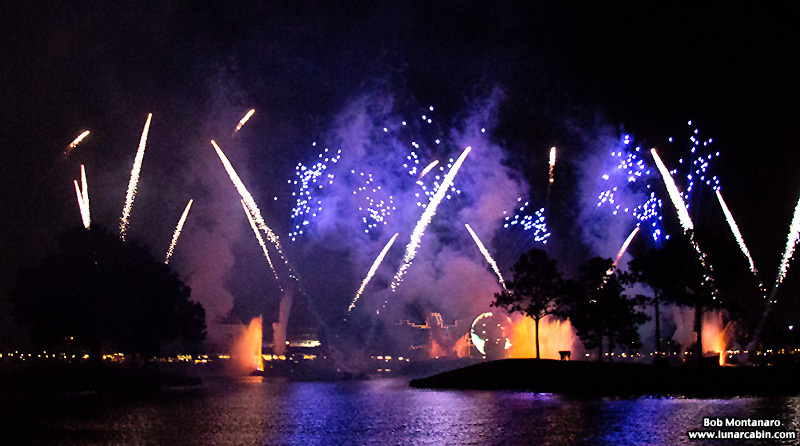 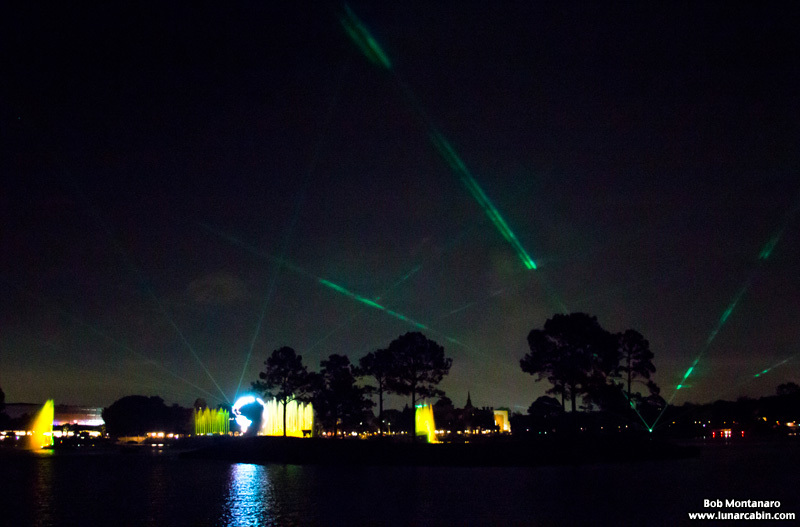 The extravaganza is a multi-media light show that includes fireworks, lasers, water fountains, searchlights, music and narration, a propane-filled barge that explodes balls of flame, and a giant LED-covered globe that can illuminate colors and moving images on the continents. 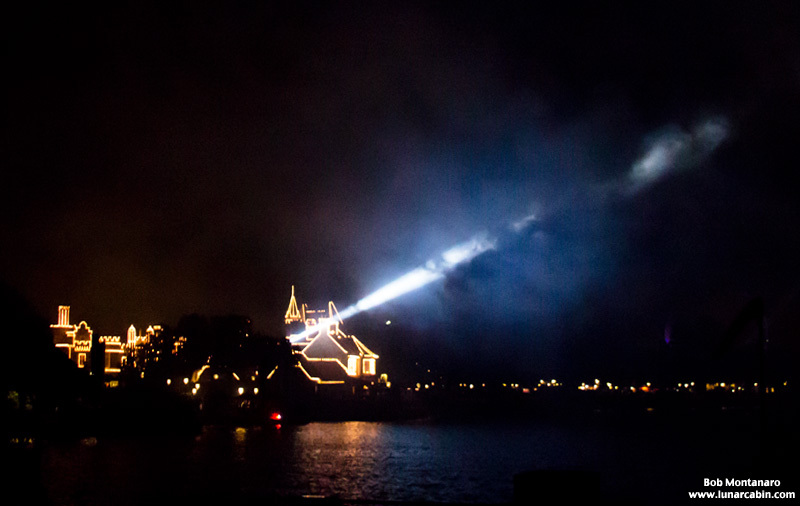 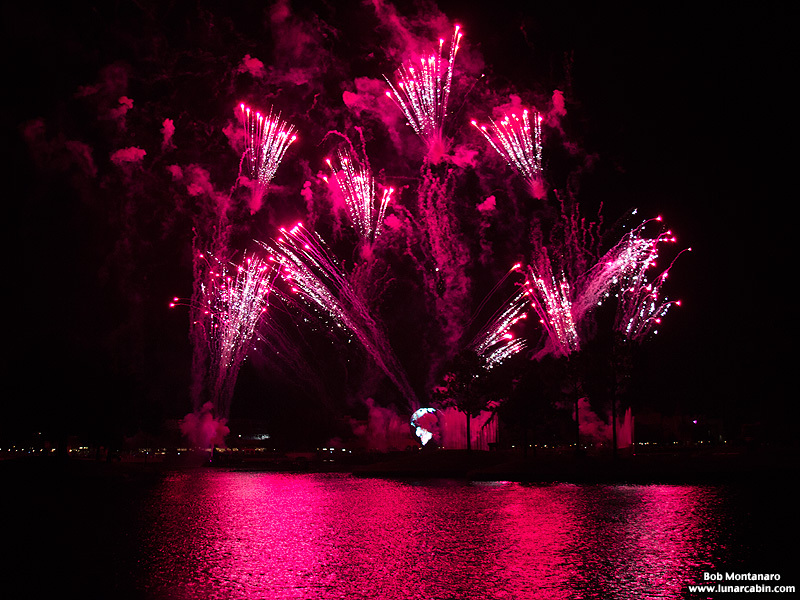 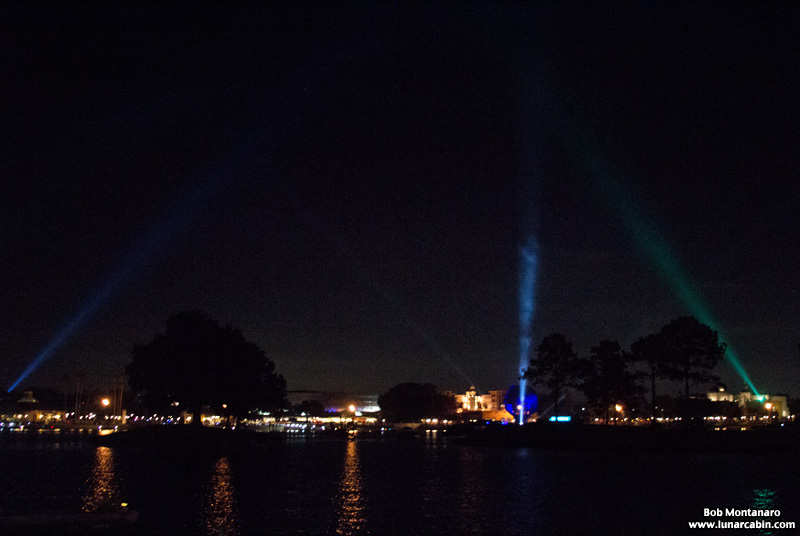 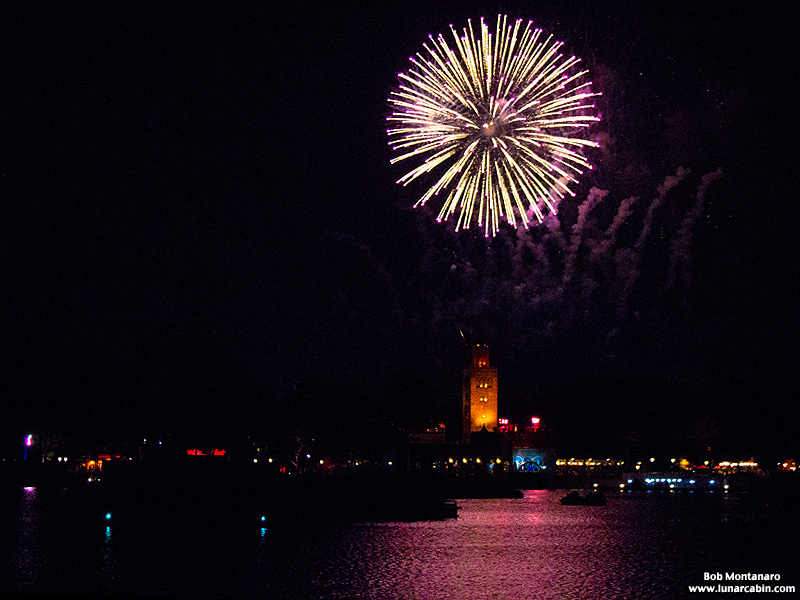 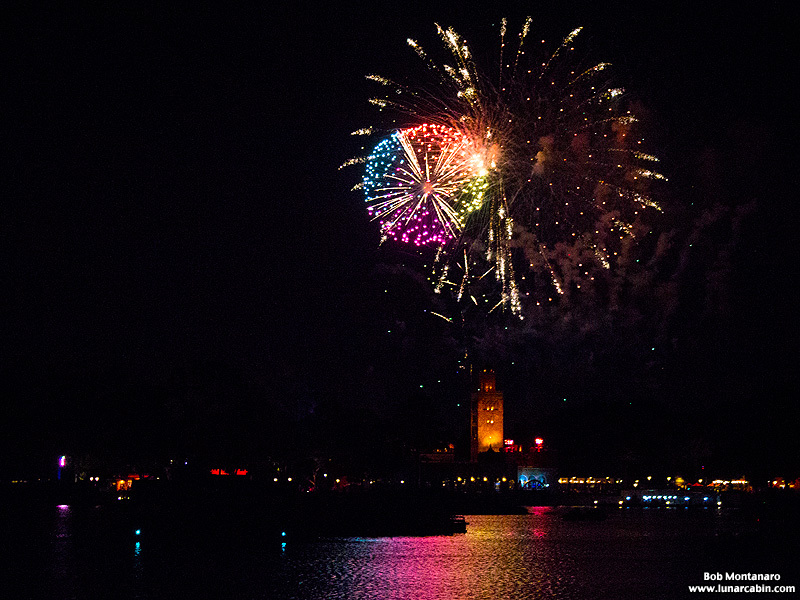 The fireworks shoot from barges brought out into the middle of the World Showcase Lagoon that are all controlled from a room atop the Mexico Pavilion. 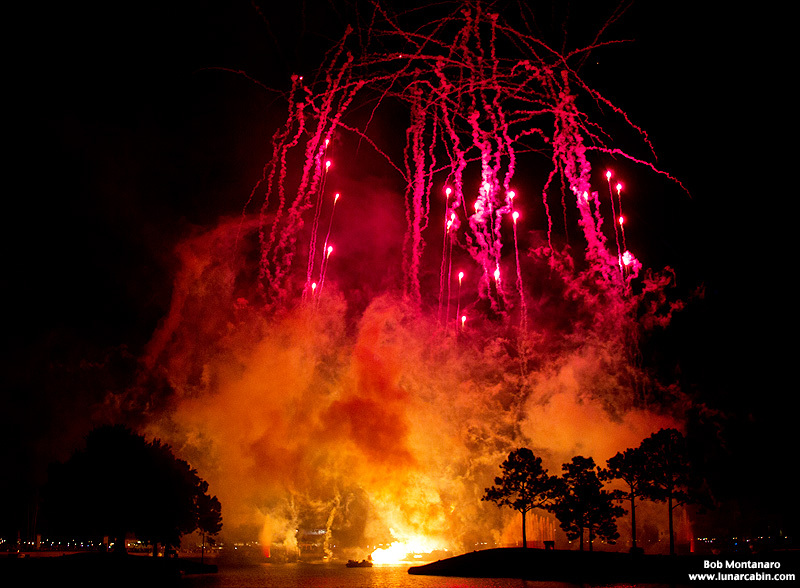 All of these photos were taken using a handheld camera since a tripod was not an option. 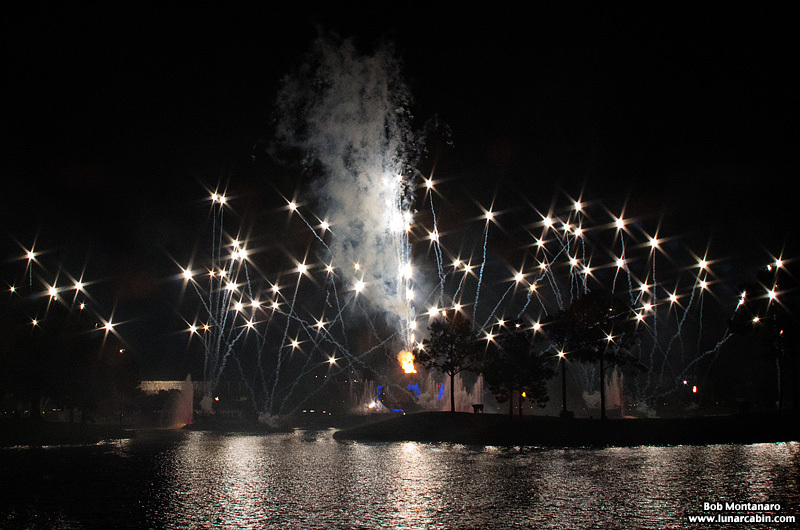 These first few photos are of a short fireworks show earlier in the evening. 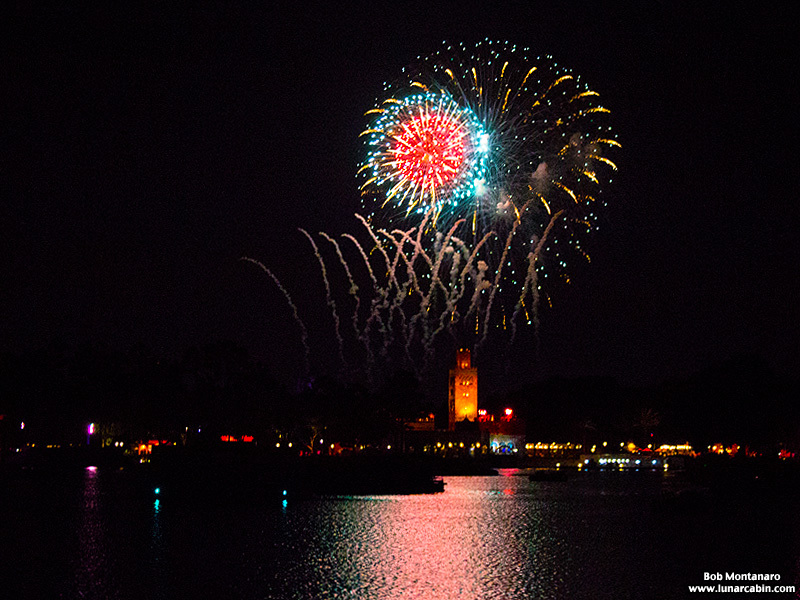 The tower in the background is the minaret in the Morocco Pavilion. 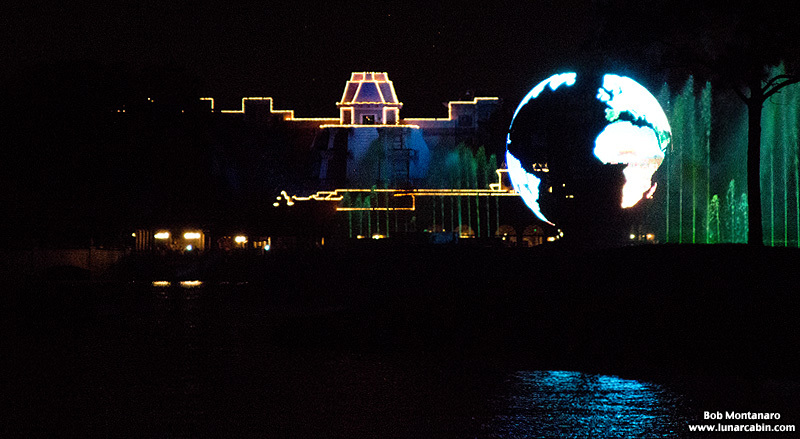 Below starts the IllumiNations show as viewed from a waterside seat on the patio of the Spice Road Table restaurant in the Morocco Pavilion. 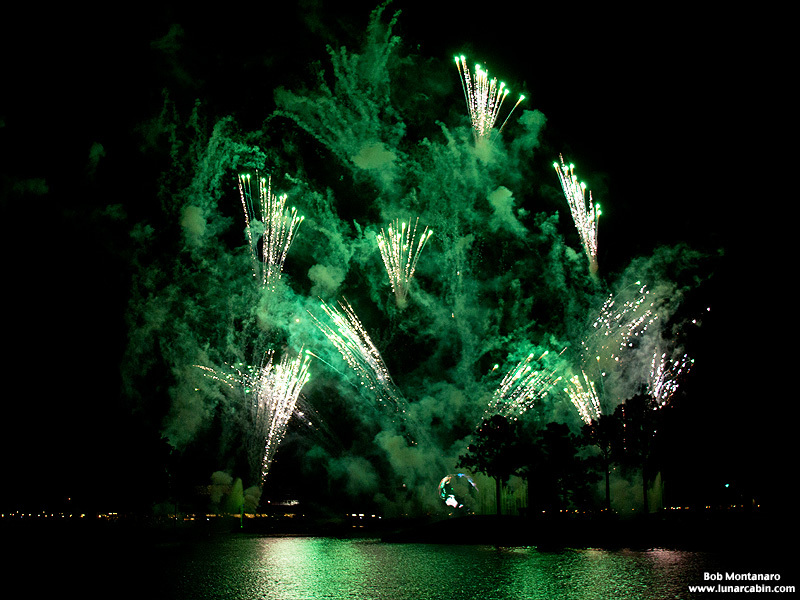 So ends the day at EPCOT.